What is the correct way to get resources from Shopify endpoints? Ok, so I found the solution for my problem. 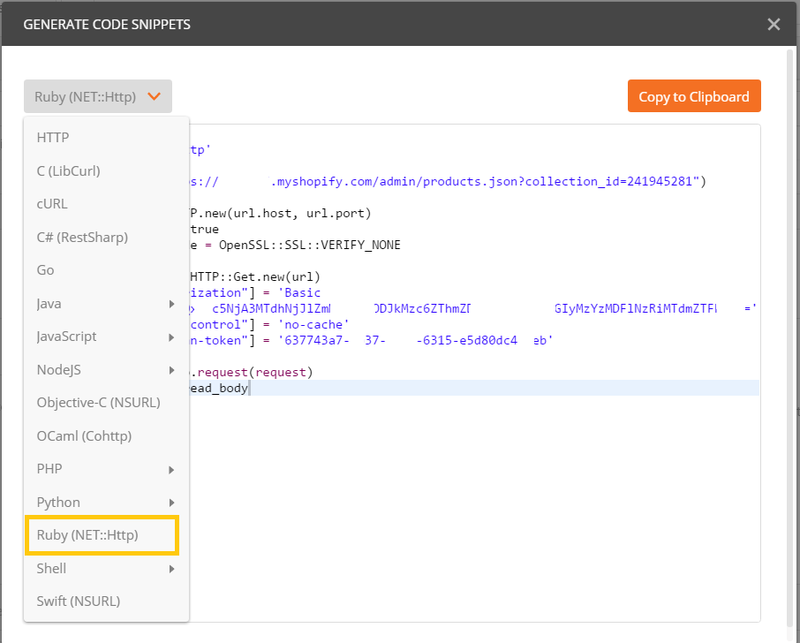 For anyone who doesn't know how to access Admin Shopify API endpoints (for example: /admin/products.json?collection_id=841564295) which requires authentication, you may use 'Postman' Chrome App. Here is the tutorial of how to use it. Most importantly is that Postman (from its UI) generates a code for you in number of languages (including in Ruby). So this is how you use it. Just copy-paste this code into your Rails application and don't forget to add require 'OpenSSL' coz the Postman some how doesn't include this line in the generated code.